This power triode is designed to operate at up to 4GHz with an anode voltage up to 300V and dissipation of 12.5W. 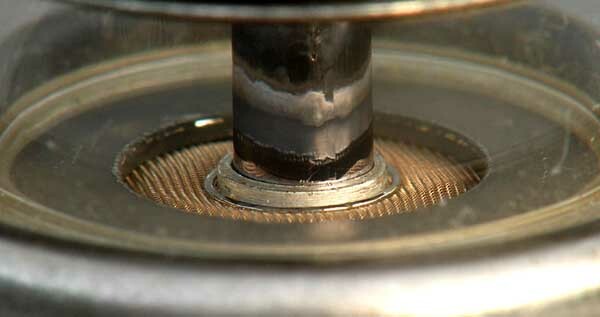 The main electrode connections are coaxial as the valve is designed to operate in a resonant cavity.. The construction reduces the inductance of all the connections and the anode-grid gap is kept to a minimum to reduce transit time. 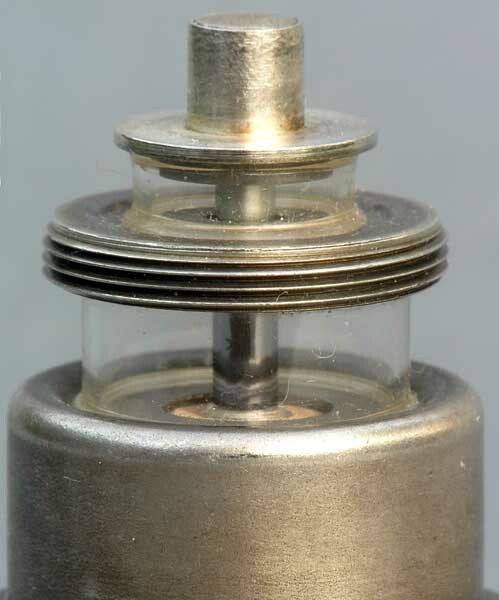 The heater connections are made via the Octal base. 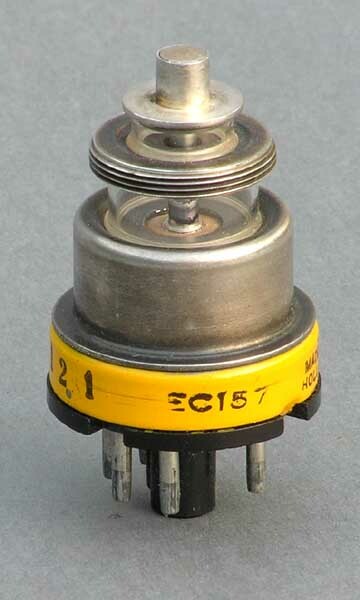 This valve can produce 1W out for an input of 50mW at 180V and 60mA.